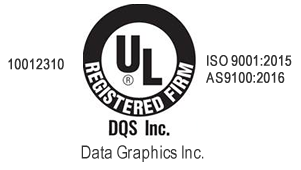 Sequential Labels | Data Graphics Inc. Sequential Labels | Data Graphics Inc. Product Identification labels are usually printed in sequential order. During the process in which they are printed, they are given an alpha numeric or numerical serial number. The serial numbers are assigned to a group of identical terms. The specific serial numbers give the product a unique identity. 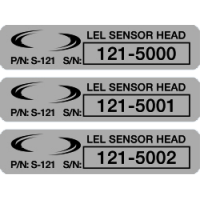 A few labels or nameplates have serial numbers with barcode symbols. The labels that do not have any barcode symbology can be embossed with lone serial numbers. For example, checkbook checks each receive a unique number in a sequential order. Most of the time, sequential nameplates are used for inventory control, asset management production tracking, scheduling and document tracking. The aerospace, medical, telecommunications, military, and manufacturing industries are a few examples which need labels in sequential order to have better business performance. Take the manufacturing of computers for example. Businesses who produce them produce a large quantity of them that look identical. Sequential labels help accurately track these products for inventory control purposes. Another government department that uses sequential labels are libraries. To keep track of order and inventory, the Dewey Decimal System is put on the books binder helping better keep track of where book are and when they are checked out. Sequential labels can be made using a number of different materials. The most popular of these materials is anodized aluminum foil that is extremely durable. A particular company’s name, serial number, and barcode can be printed on the material leaving a highly visible image. Foil product identity labels are usually tamper evident. When the foil is taken away from the surface it was originally adhering to, it leaves a visible residue leaving a trace of tampering. Aluminum tags are perfect for indoor or outdoor applications. The asset tags can protect from harsh environments such as scuffs, heat, cleaning solvents, and most chemicals. Another material option for sequential labels is polyester. This particular material is excellent for indoor applications. Applications for this material include nameplates on computers, furniture, and equipment. Polyester labels also leave a void pattern behind when peeled away. This pattern consists of the word “VOID” on the product it was adhered to. Polyester labels can be made with a laminate that ads protection from scuffs and mild chemicals. 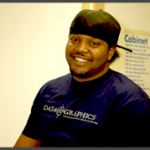 Contact Data graphics and talk to one of our highly trained Sales Engineers or get a quick quote today.